Former editor and Washington Post ombudsman, Deborah Howell, died when she was struck by a car earlier today in New Zealand. She was 68. Howell was, among other things, a pioneer for women in journalism. She was a source of inspiration, having made her way up in this business at a time when the newsroom was hostile territory for women who didn't want to spend their careers writing wedding announcements. Because of her, it was a lot easier for those of us who followed, both in the city rooms of newspapers around the country and here in Washington. Among Howell's other accomplishments, she oversaw the St. Paul Pioneer Press as editor for a number of years. Under her, they won two Pulitzer Prizes, one in 1986 and one in 1988, both for feature writing. 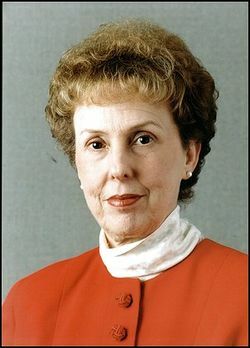 From 1990 through 2005, she served as the DC bureau chief and then editor for Newhouse News. In October of 2005, she started as the ombudsman at the Washington Post, which is a position she retired to Andrew Alexander in December, 2008, who hasn't exactly had a great run so far. Advice to young bloggers who want a mainstream media job: Don't hide your other job. Don't embarrass the editors. And use that talent without posting a picture of yourself drunk. As far as advice from the older generation goes, not bad. Except more tributes to the woman to come pouring out from journalists across the country over the next few days. She was 68, and is survived by a husband and two stepsons. Update: David Carr calls her "The Editor Everyone Should Have Had."